ORDER FORM: Click here to print Logo Items Order Form! Call (800) 870 - 3128 to order toll-free Now! Ceramic Mugs & Plastic Tumblers w/Caps are available Rum Runner logo imprint. 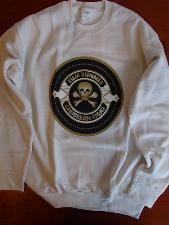 Sweatshirts are available in black or white with the a screenprint Rum Runner logo on the front. 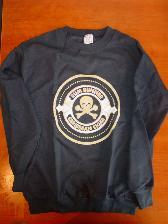 They are made of a very comfortable blend of 50% cotton / 50% polyester and are resistant to shrinkage. 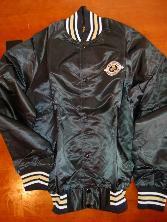 Jackets are available in black with a satin finish and trimmed cloth edges. 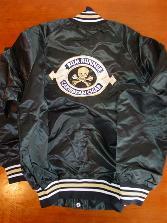 The Rum Runner logo is a stitched embroidered patch and is placed on both the front and back. Limited Edition Glass Ashtrays of the Regalos brand cigar are available while supplies last.